I wrote a preview of Fedora 9 "Sulphur" during its release day and said that I'm going to post an update soon. Now that I have tried and tested F-9 on my 4th gen. Macbook Pro (Penryn), it's time for me to give you a concise summary of the Sulphur experience and how it compares to that of Hardy Heron. As most of you may know, Linux distros and Apple hardware are not meant for each other. Running Linux on a Mac will almost always give you headaches, as wireless card, audio, and keyboard among others will usually not function as normal. I have personally encountered this while using Ubuntu/Xubuntu on Macbook Pro. Because Fedora 9 is more recent than Ubuntu 8.04, I was hoping against all hope that I would get better hardware support for my MBP. So, I dived into dual booting Xubuntu and Fedora on my Mac. Since I've already installed Xubuntu, setting up Fedora for dual boot was pretty straightforward. 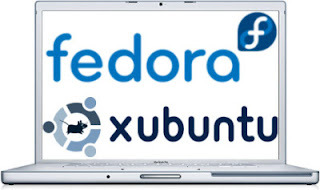 It was my first time installing Fedora via Live CD, and I must say that it was a breeze compared to the old and standard installation method that utilizes Anaconda. The Fedora Live CD installation was Ubuntu-like in terms of newbie-friendliness. The only difficult part was the partitioning. I resized my Xubuntu partition to make way for Fedora. After that, it was smooth sailing until the system installation was completed. And then there were the headaches that I have mentioned above. Fedora 9 and Ubuntu/Xubuntu Hardy Heron are almost the same in terms of hardware support for the Macbook Pro (Penryn) -- no Wi-Fi, no audio, no keyboard special keys, and no backlight functions. However, I find it interesting that the "eject" button is working out-of-the-box in Fedora while in Ubuntu it did not. In terms of desktop features and ease-of-use, Fedora still can't beat Ubuntu. If you are used to using Synaptic, then you will be easily frustrated with Fedora's slow and slightly buggy package manager. Like after updating the installed packages, I was informed that there were dependency issues that need to be resolved. Also, I was not given an option to install the essential proprietary driver for my NVIDIA graphics card unlike in Ubuntu. Despite the difficulties that I have encountered in Fedora 9, I'm still impressed about several things. One is its speed -- its Gnome desktop is at par with the lighter XFCE in Xubuntu in terms of quickness and responsiveness. The speedy boot/start-up process in Fedora is also worth mentioning. Another thing that I love about Fedora is its excellent font and HTML rendering in Firefox. I didn't have to tweak or install anything to get it right. Although I must admit that I still need more time to fully explore this latest version of Fedora and to fix the hardware issues that I've talked about, I am relatively at peace. Wondering why? Because it feels good to have the best of both worlds inside my MBP -- the stable and secure Fedora and the light and hassle free Xubuntu. I guess the NVIDIA drivers will not work with the latest xorg in Fedora. I am not actually clear with what it means but that's what I've read so far while googling for the Nvidia issue. There's I guess a workaround, that is downgrade you xorg. I can live without the desktop effects, so I can't bother. We need to remember that Canonical/Ubuntu already dropped apple's support generally and its up to the communities job. I just installed my Ubuntu 8.04 yesterday when it arrived in my apartment here in Cebu. I pop it in my desktop system and Ubuntu 8.04 just works perfectly in my system. Intel E2140, ECS945GCT-M2/1333 GMA 950 (a windows vista certified board! ), 1GB PC667 Kingston Memory, Western Digital 80GB SATA HDD, LG 20x DVD-RW DL. It even detected all my other hardwares, my cheap 200.00php memory card reader, my HP Deskject 2460. The audio is good, Video by Intel-No problem. Network well I wouldn't be giving my comments if I am not connected to the internet.